The King is dead. Long live the King! Has The Royals TV show been cancelled or renewed for a fourth season on E!? The television vulture is watching all the latest cancellation and renewal news, so this page is the place to track the status of The Royals season four. Bookmark it, or subscribe for the latest updates. Remember, the television vulture is watching your shows. Are you? Airing on the E! cable channel, The Royals follows a fictional British royal family in modern day London. They inhabit a world of opulence that caters to their every desire, but one that also comes with a price tag of duty, destiny, and intense public scrutiny. The Royals TV show cast includes Elizabeth Hurley, William Moseley, Alexandra Park, Jake Maskall, Tom Austen, Genevieve Gaunt, Rocky Marshall, Victoria Ekanoye, Andrew Cooper, and Max Brown. Jules Knight is recurring and Damian Hurley guest stars in The Royals, season three. The third season of The Royals averaged a 0.23 rating in the 18-49 demographic and 533,000 viewers. Compared to the second season, season three is down by about 34% in the demo and sown by 26%in viewership. 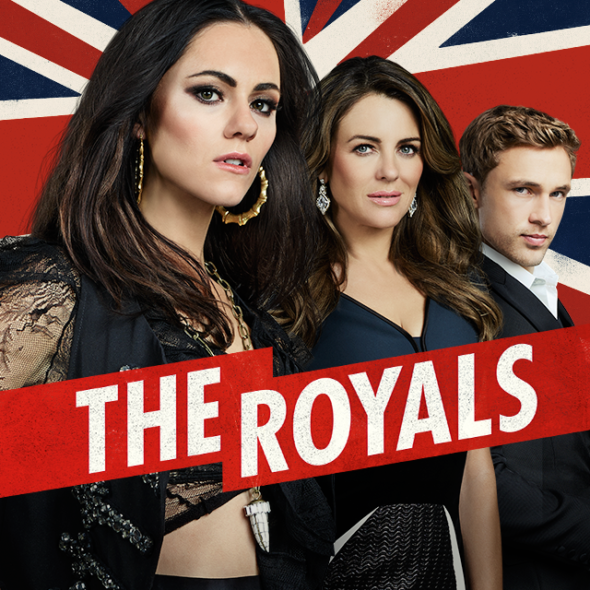 On February 16, 2017, The Royals was renewed for a fourth season. Stay tuned for further updates. The first season of The Royals had a good start as the cable channel’s first scripted series. However, in season two, the ratings fell by more than 33% when compared to the season one numbers. Now it has dropped even further, still on February 16th, E! renewed The Royals TV show for season four. The soapy drama is the cable channel’s first venture into scripted television so that likely plays a role in keeping the series on the air. TV show ratings are still important. Follow The Royals’ weekly ups and downs. Find more The Royals TV series news or other E! TV show news. What do you think? Do you hope The Royals will be renewed for a fourth season? How would you feel if E! cancelled this TV show, instead? I love “The Royals”. It was my guilty pleasure. The first season was the best though, with some amusing segments. I really hope it gets renewed hope my comment isn’t too late. Please renew !!! This show is a MUST !! Absolutly enjoying every minute of it !!! Love The Royals! Please renew! Please RENEW!!!!!!! I’Ve been waiting! Yes , I love this show I have been waiting for season four, best show. I will be very sad to see the show cancelled. Please please renew The Royal! One of the best shows on tv!